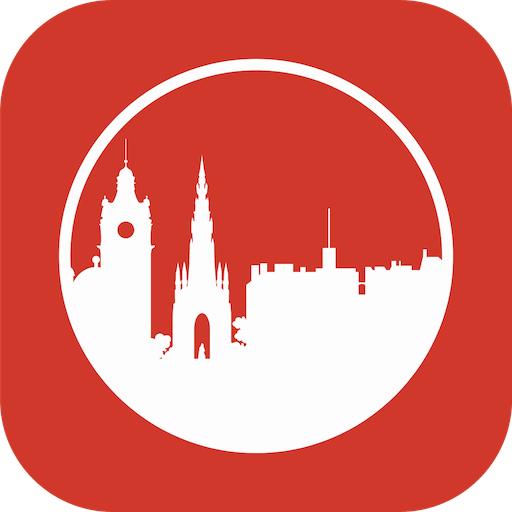 It’s always lovely to have lunch with Danielle from Edinburgh Foody, so it was with a jaunty gait that I strode up the Royal Mile on my way towards Grindlay Street. 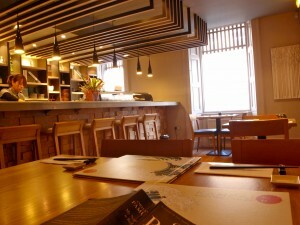 Today’s venue of choice was Kanpai Sushi, the upscale version of my local sushi bar, Sushiya. Upon my arrival in to the calm confines of the place, I found MJ safely ensconced at the table. She delightedly showed me her first Penguin edition of The Ballad of the Sad Café, a recent purchase. Danielle soon joined us and was thrilled to receive a gift of pecans from MJ’s trip home to the Alabamian homestead. 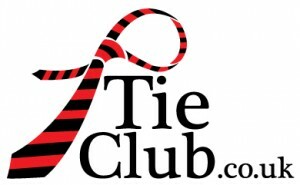 I was wearing a nice new tie from www.tieclub.co.uk, so everyone was thoroughly happy with the world. Contemplating the beautiful photographs in the record-sleeve-like menu kept our happiness levels high. 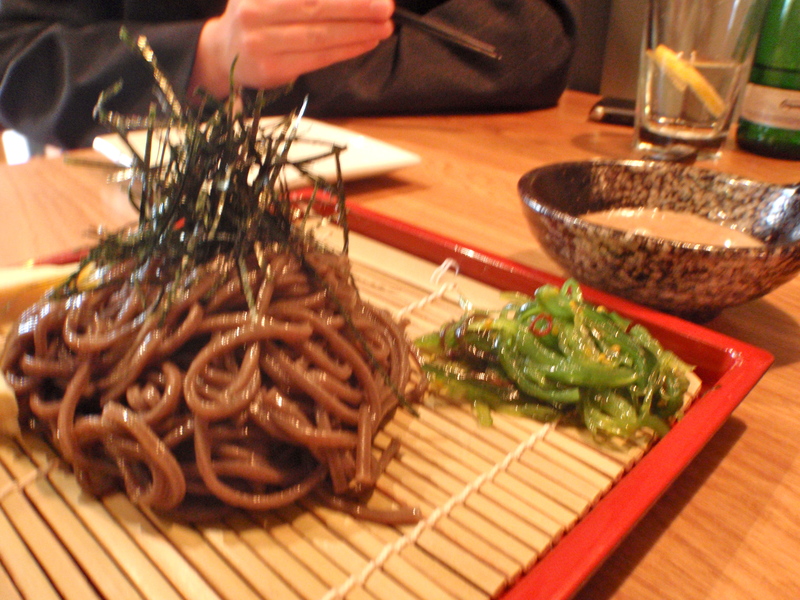 We settled upon four dishes to share: buckwheat soba noodles; a grilled miso aubergine; their Kanpai special sashimi platter; and tuna maki. We were asked if we wanted to have these dishes all together, or as they were ready, opting for the latter. First to arrive were good tuna maki. These were good start to proceedings. Next, taking centre stage was a fabulous looking array of sashimi, served over ice. The soba and aubergine appeared quickly, so we were soon flitting between all of these dishes. The sashimi was absolutely first rate. It looked magnificent and tasted almost as good. The octopus wasn’t great, but everything else married beautiful textures and flavours together, to create a relying satisfying dish. 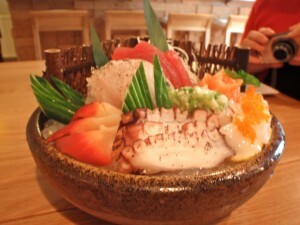 For me, the mackerel and squid were the standout items. 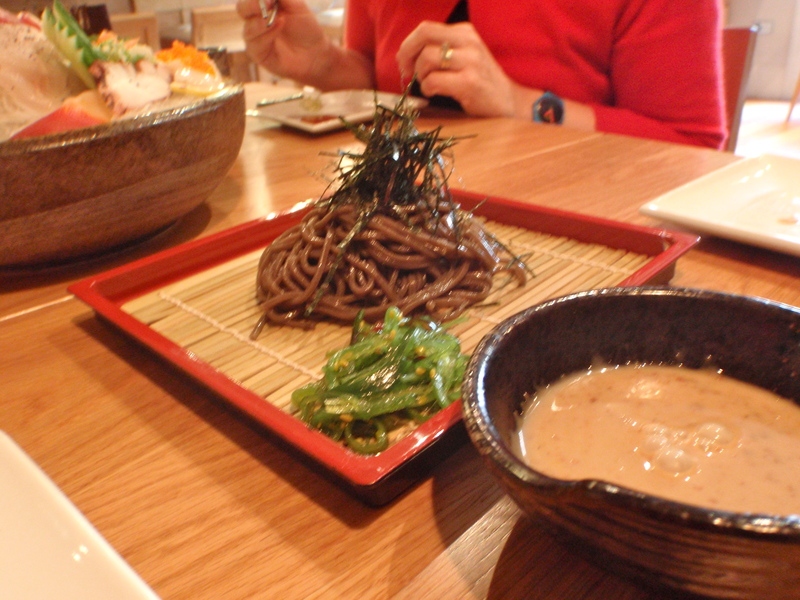 The soba were good, with the accompaniments all very tasty. The sesame sauce proved a little challenging, mainly due to my lack of chopstick dexterity, but when I managed to get things working in harmony, I was rewarded with tasty mouthfuls. The aubergine was a revelation. MJ ended up asking the waitress how it was cooked (fried then grilled, apparently), as we were very curious. It was sweet, soft and sticky and quite unlike any aubergine I’d tasted before. I have a feeling that the simplicity of the cooking method is only half the story, as it struck me as a dish that would be difficult to replicate. 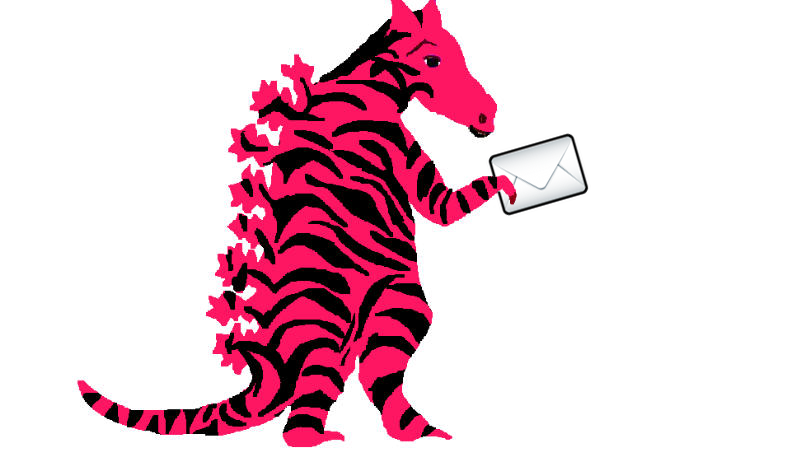 Overall, I was very impressed with Kanpai. It was completely different from our previous sojourn in to the world of sushi at Koyama. 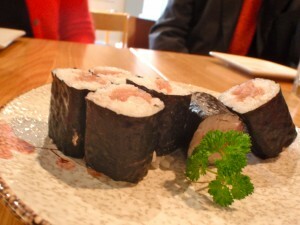 I enjoyed both very much: I liked the theatre and range of dishes in Koyama; the tranquil atmosphere set against wow-factor food was what Kanpai did best. Lots of the other dishes on Kanpai’s menu looked good, but I’d heartily recommend that you try what we had, as it really was high quality stuff. Danielle over at Edinburgh Foody had happily suggested Kanpai as a meeting place so I could pass on some elicit-honey-pecan joy. It was blisteringly cold when I wandered over to the wee place tucked away on Grindlay Street. Inside, the restaurant reminds me of what I would imagine the inside of a calming restaurant in Japan to be like, zen colours, lots of light wood to break up the walls, and really elegant rock-fronted bar area where the sushi chefs where doing their magic for all to see. I sat and read (not the Carson McCullers book) while I waited on the others. When we all had arrived, B and I wanted to order quite a bit from the menu and we all had different ideas, but we both were pleased that Danielle had been there previously. The first thing that came out was the tuna maki. It was pretty, the rice wasn’t too tightly packed and it wasn’t icy cold, which seems to be a misconception with much sushi today…that it comes from the very chilled fridge area. Fresh should be cold, but not really chill, indicating tha the rice is fresh and not from a stash in the fridge. 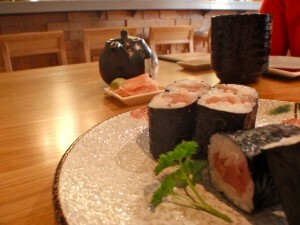 The sushi was smooth, the tuna high quality and the wasabi and ginger served generously on the side. 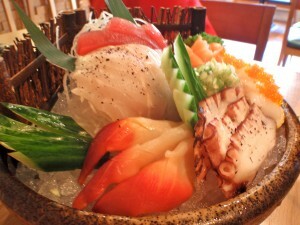 The very pretty and impressive sashimi set came next. It was piled in a beautiful bowl filled with ice, there was a wee fence around 2 sides and a nice array of mackerel, tuna, salmon, sea bass, perhaps cod, crab, and octopus, and squid with various garnishes. The fish was high quality, with the mackerel and the tuna being the standouts for me. The buckwheat soba came out very soon after the sashimi. The noodles were served cold, which is what I was expecting, They were good, not overly slippery as some can be and the sesame sauce was served on the side, it was quite tasty, a bit sweet, next time I’ll try the wasabi sauce. 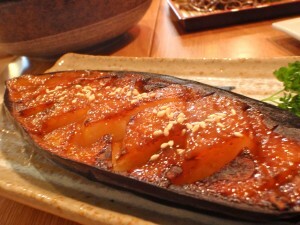 The star of the show, for me, was the grilled aubergine with miso sauce. It was luxurious. 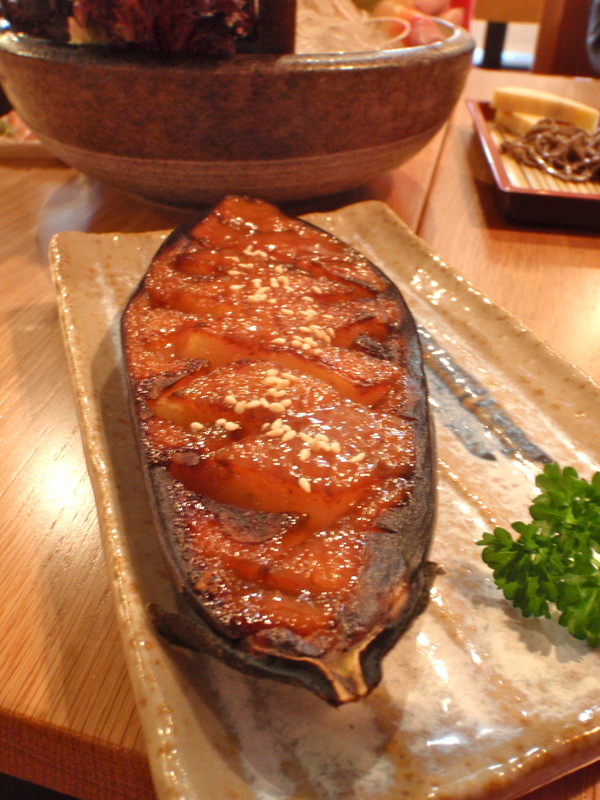 A single half of aubergine which had been pan fried to soften it, scored deeply, covered in miso paste and sugar and grilled till brown and soft and topped with sesame seeds. I really could have eaten about 5 of these. Really. Few sweet things like this really make me jump up and down and want to make it again at home, which I likely will try-maybe Danielle will let me write about my successes and failures over on Edinburgh Foody. So, go to Kanpai. Have good sushi made by people who know what they are doing and love the excellent service. Enjoy the calming atmosphere, and for goodness sake, order the aubergines, at least one.